The Twenty-First Century African Youth Movement (AYM) – Sierra Leone division went into full time vegetable production in 2012 due to a large donation of vegetable seeds. Seeds worth well over $40, 000 were used for the Bonthe District Youth Vegetable Garden. In 2007, AYM acquired control of an operational garden site in Mobimbi, close to Sierra Rutile Limited (SRL) through the assistance of the Community Affairs Department of SRL – under the direction of Hadji Dabo, and Country Manager Joe Denton of All Terrain Services Group (ATS). ATS is a hospitality management group that prepares meals for around 120 senior managers at SRL, 40 senior managers at PW Mining Company, and around 90 Malaysian engineers and businessmen. The acquisition of this land was part of expanding the AYM agriculture program. On February 22nd 2007, SRL identification cards were printed for 20 volunteer workers enabling them to board any mining vehicle and have security clearance to reach the Mobimbi vegetable garden. Under the direction of Mobimbi Site Manager, the late Pocoloco Bangali, work began the very next day. The first job for the new team was to clear the weeds and dead plants from the existing rows, trim the banana trees, and mulch around all living vegetable or fruit plants. The group also explored the garden boundaries, locating all water pipe nozzles for watering, and rebuilt plant beds for new crops. Vice President Dennis Glover. Dennis was joined by the ATS Country Manager Joe, Site Manager Biju, and Human Resources Manager John. They were all very surprised at the accomplishments the group had made in only five days of work. Joe Denton gave praise to the group of volunteers, and reaffirmed his commitment to working closely with AYM as the future chief supplier of their vegetables. He promised to purchase every single vegetable AYM produces at market rate. Joe also offered 600,000 Leones for purchase of water hosing, wheelbarrows, and other tools and items to speed up the work for the Mobimbi vegetable garden project. 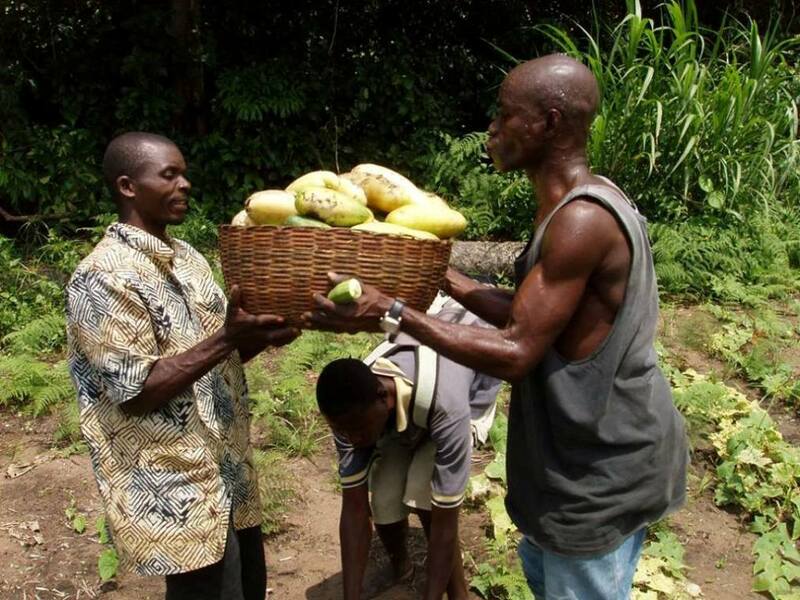 The Mobimbi site was the newest of 3 youth vegetable gardens AYM was working on in the Bonthe District of Sierra Leone. The Mattru Jong chapter had 50 volunteers, the Georma chapter had 150 volunteers, and Mobimbi was holding its number of volunteers to 20 for a start. There was already a waiting list in Mobimbi of over 80 aspiring volunteers, who would have been screened and interviewed for future expansion teams when created. New teams will grow new crops of vegetables, as well as engage in animal husbandry at Mobimbi to further assist ATS in its needs for meat. 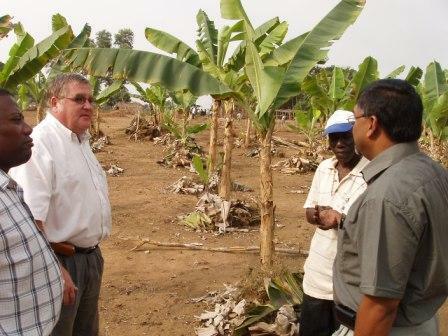 All three sites prepared for the official launching and Seed Planting Ceremony held and attended to by the Founder, CEO, and President of AYM – Abu-Hassan Koroma on March 24, 2007. The launching dates were: Mattru Jong – March 24th 2007, Georma – March 26th 2007, Mobimbi – March 28th 2007. Due to administrative and management challenges, the vegetable garden experience later underwent a series of setbacks. It was temporarily folded. Plans are now afoot to jump-start the program, thanks to an initial large donation of vegetable seeds made by Emmett Schulte, a very active retiree from the University of Wisconsin-Madison where he worked in the agriculture department. 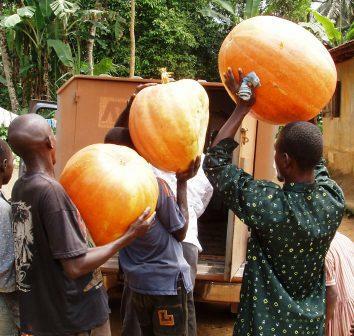 The seeds and other agricultural tools are awaiting shipment to Sierra Leone. A fundraiser is being planned to facilitate the shipment to Sierra Leone. You can help towards our shipment with a donation here and by trending #aymvegetablegardenprojects.